Hydraulic adapters may seem small and insignificant beside some of the other parts of your hydraulic system, but having high-quality adapters is nonetheless highly important. Getting the exact right adapter can help you effortlessly mesh seemingly incompatible parts that may have different diameters or fail to line up in a way that would permit straight coupling. With Parker hydraulic adapters in Corona CA, you can enjoy stable, leak-free connections in all kinds of hydraulic equipment. Mate male-male or female-female connections at a variety of angles, or get push-on adapters that can easily snap on and off when maintenance is needed. Either way, with Parker adapters you’ll quickly see that it pays to invest in quality parts even for the littlest parts of your hydraulic system. 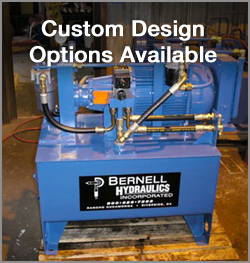 At Bernell Hydraulics, we sell authentic Parker parts, including Parker hydraulic adapters in Corona CA. You can count on the adapters we provide to provide optimal performance, and you can count on our expert staff to help you choose the right adapters for the operating requirements of your hydraulic application. If you need adapters in a hurry to complete an emergency repair, just give us a call and we’ll send an experienced mobile tech out to your job site to deliver and install your new adapters for you right away.